The 1st day of January is the Octave Day of Christmas (i.e., from December 25 to January 1, inclusive, are 8 days). Today, too, we honor the Holy Name of Jesus which was given to Him on this day. We celebrate His Holy Name more fully next Sunday (or tomorrow if the first Sunday of the year falls today, or on the 6th or the 7th), on the Feast of the Holy Name. On this day, a plenary indulgence can be acquired, under the usual conditions, by reciting the Veni, Creator Spiritus (Come, Holy Spirit). Note: Today is New Year's Day of the secular year, and it's considered good luck to eat black-eyed peas (for luck), collard greens (for money), and hog jowls (for plenty). 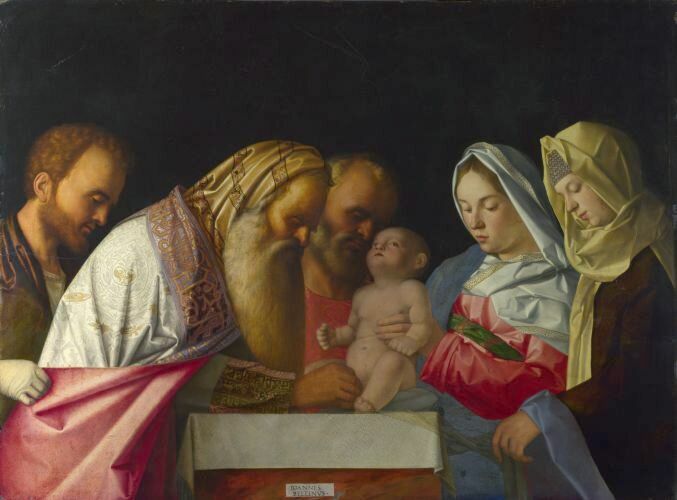 For very important information about the Catholic view of circumcision, see this page.